When you ask a layman on the street to name the religions he knows, the two that would immediately pop out of his mount would be Christianity, and Islam. After which he would go, 'Ehhhhh' and look up in the sky like the answer would drop from the clouds. Most people don't know that there are more than a dozen religions in the world, and Christianity and Islam put together represent only half the religions of the 7.5 billion people on Earth. I have put together this article to shed some light on some of the other religions of the world. So, below is the top 6 religions of the world, with size (population) as the criteria. Judaism is the religion of the Jews (The Israelites from the Bible). More or less, Judaism came before Christianity, and Christianity was birthed from Judaism. This is why the Torah (the Jewish holy book is part of the Old Testament). Or put in a better way, early Christians put the Jewish scriptures (the Torah at the beginning of the old testament, as they basically believe in the same thing. By the way, the Torah is the Five Books of Moses- Genesis, Exodus, Leviticus, Numbers, and Deuteronomy. When Jesus Christ came on the scene, another religion was formed from Judaism, which is Christianity. Till this day, Jews don't believe Jesus was the Messiah. Judaism is practiced by 14 million people in the world. 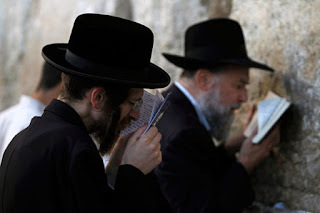 As Jews can be found all over the world, Judaism is practiced in most parts of the world, but majorly in Israel and the United States of America. This religion originated in Pujab region of Asia (partly modern day India and Pakistan) back in the 15th century. It is a monotheistic religion, and somehow similar to Buddhism in its belief of one creator, unity and equality of all humankind, and engaging in selfless service. 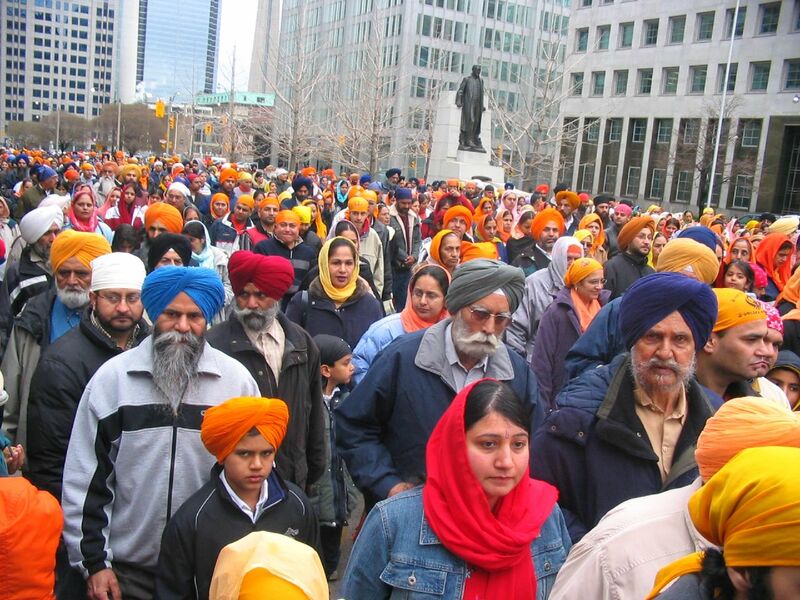 There about 25 million Sikh people all over the world, mostly in India, United Kingdom, Malaysia, Australia, East Africa, and Canada. 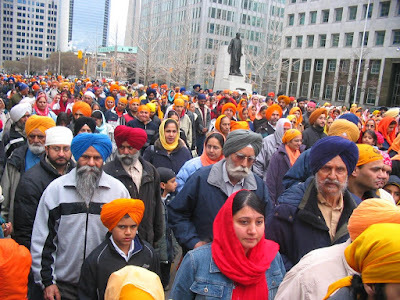 Male Sikh's usually wear turbans and have long beard. As they migrated a lot in the 19th century, they are found in many nations of the world. Male Sikhs have over the years gained a reputation for being very hardworking, extremely brave, and adventurous. Have you ever heard of a Buddhist Monk? I am sure you have. Buddhism doesn't end in the temple of monks. 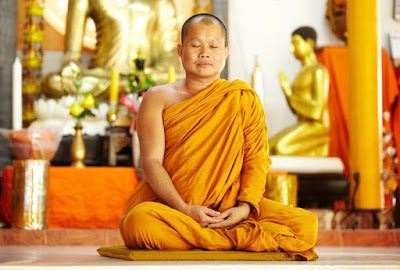 There are actually over 380 million people in the world that practice the Buddhist religion. This makes the religion the 4th most practiced religion in the world. Like the Sikhism religion, it also originated from Asia, India to be precise. The Buddhist religion is based on the teachings of the Buddha, who is believed to have lived between the 6th and 4th century BCE. There has been arguments on whether Buddhism is a religion or a philosophy because of the way many people from other religions borrow many of their practices, like meditation and the journey to enlightenment. Celebrities like Richard Gere and Russell Simmons are many of the celebrities that have made the religion popular to an extent. This is yet another religion that originated from Asia, and is mostly practiced in the region. But unlike most religions, Hinduism has no founder, no single scripture, and no commonly agreed forms of teachings. 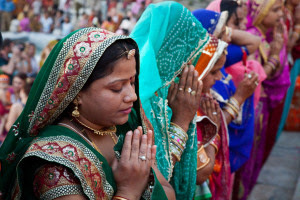 The religion is mostly practiced in India and Nepal, and there are over 900 million Hindus in the world. 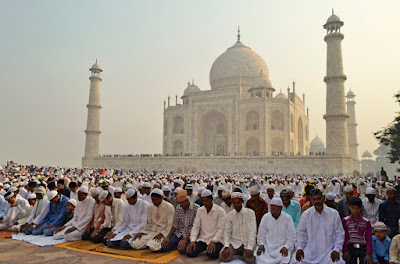 Considering the fact that India has a population of 1.2 billion and most of that population practice Hinduism, it shouldn't be surprising that there are close to a billion Hindus in the world, even though they don't travel around the world trying to get new converts like some other popular religions do. Some scholars have described Hinduism as a fusion of various Indian cultures and traditions, with diverse roots. Most researchers believe it is the oldest religion in the world. Hindu practices include rituals such as Puja (worship) and recitation, meditation, family-orientated rights of passage, annual festivals, and occasional pilgrimages. Like most Asian religions, Hindus are very simple people, who sometimes leave their social worlds and material possessions, and engage in lifelong ascetic practices to achieve Moksha- which refers to various forms of liberation, freedom, and emancipation. The second most practiced religion in the world is Islam. There are virtually Muslims (adherents of Islam) in almost all parts of the world, but they are more concentrated in the Middle East, Northern Africa, and some parts of Asia. In a way, Islam and Christianity have many things in common, especially from the Christian Bible's old testament. Names were changed in the Qua-ran, but it is basically mostly the same stories about the same people in both books/religions. The religion was originated and made popular by prophet Muhammad. Islam originated in Mecca (part of present day Saudi Arabia) in the 7th century, and gained worldwide recognition between the 8th and 13th century. Today, there are over 1.5 billion Muslims all over the world. One of the beliefs of Muslims is in the oneness of God, as opposed the Christians trinity belief. This is the most popular religion in the world. 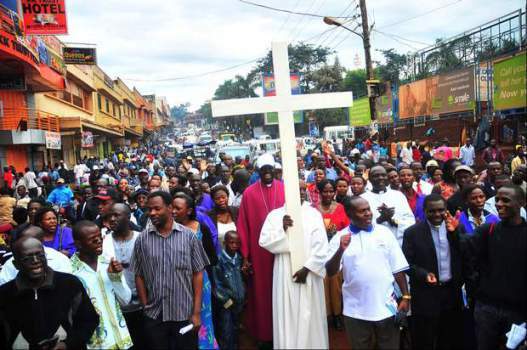 There are various arms of Christianity, from the Catholics, to the Anglicans, to the Baptists, to the Methodists, to the New Age etc. Christians place of worship is called a Church, and Christians believe in the trinity of the supreme- that is, that there is God the Father, God the Son, and God the Holy Spirit. God the Son, Jesus Christ supposedly lived 2,000 years ago, and most Christians fashion their lives towards how he lived, and the teachings he shared. Like Islam, it is an Abrahamic Monotheist religion based on the life and teachings of Jesus Christ. There are over 2.2 billion Christians the world over, and this number keeps growing everyday with new converts. Christianity is more or less an offspring of Judaism that grew bigger than what it branched out from.